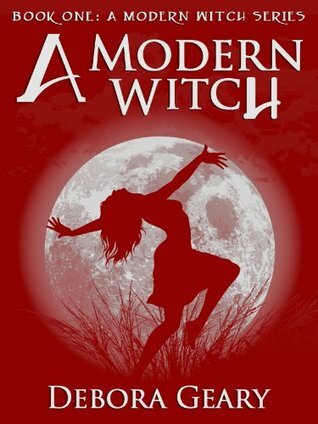 Can you live 28 years without discovering you're a witch? — Lauren is downtown Chicago's youngest elite realtor. She's also a witch. She must be - the fetching spell for Witches' Chat isn't supposed to make mistakes. So says the woman who coded the spell, at least. — The tall, dark, and handsome guy sent to assess her is a witch too (and no, that doesn't end the way you might think). What he finds in Lauren will change lives, mess with a perfectly good career, and require lots of ice cream therapy. It's a refreshing and fun read. There is nothing logical about the book...its just a fun fantasy. Female protagonist finds out she's a witch...falls in love with that tall,dark and handsome guy sent to assess her..and finally ..they both win over some evil force...!! But that wasn't how it all turned out..and..it turned out really well..! Female Protagonist a powerful witch..?? yes! So..I have kinda listed all kinds of things that might make you NOT want to read it..but..if you want to go for a fun ride..well what are you waiting for..?? The book is written really well. Quite a part of the book is written like a chat transcript...but it was well written too. I have read some books where the writers have written in a similar fashion..and in most cases..the end result was confusing and boring...HOWEVER..that's not the case here. So..I guess I will leave you all to decide for yourself weather you want to read it or not ! lol..!! Just noticed that myself..!! Hi... nice read.. Very informative. Thanks for writing on my Book Blogs page. I've followed you, and will continue to enjoy your reviews. Please visit my site at http://www.hipchickzine.com, and leave me a comment, or sign up via email. Many thanks for the warm welcome. Hi Sally! Thanks for the follow; I'm following you back now. Would you be interested in participating in the blog tour for my upcoming release GPS With Benefits which will run between November 1 and November 30. You can do a review, release announcement, guest post, interview or giveaway. GPS With Benefits is a short film script about a GPS device with a mind of 'her' own. Everyone who participates in the blog tour will automatically have a chance of winning a $100 Amazon Gift Card. Hey, this looks like a book I might actually enjoy! Though I usually read horror, light and entertaining is always a good thing. I released my debut novel last year and given the fact that you enjoyed this book, I think mine might be for you too. It is a YA horror called PERPETUAL NIGHT and I'd love it if you could review it! Let me know if your interested. I found you through a message you left for me on my Ning wall and I'm now a new follower. My blog is www.diaryofawriterinprogress.blogspot.com and my mail is gbmg76 AT gmail DOT com. If you're interestend in reviewing my book, all the info is in my blog. Thanks! Nice! I'll have to check this book out. Hello :-)~ New Follower here. I really liked your page and found it very interesting. The link to my blog is http://www.iamalittleoff.blogspot.com If you would like to check it out and follow as well! Looking forward to your posts!